Jeanne Marie Beaumont is author of Burning of the Three Fires (BOA Editions, 2010), Curious Conduct (BOA, 2004), and Placebo Effects, a National Poetry Series winner (Norton, 1997). She co-edited The Poets’ Grimm: 20th Century Poems from Grimm Fairy Tales, and teaches at the 92nd St. Y and in the Stonecoast low-residency MFA program. In this latest Behind the Sestina, Beaumont helps us get to the bottom of the (S)teins in “A Stein’s Sestina,” included in The Incredible Sestina Anthology. When did you first discovered the sestina? The sestina really entered my consciousness in graduate school, in the late 1980’s. Other students were writing them, and around that time, or shortly after, I wrote my first sestina. Have you written other sestinas? I have only written a couple of sestinas that I am happy with. I think it is difficult to make them work all the way through, so I have several “in process” or perhaps “stillborn,” as Plath would say. 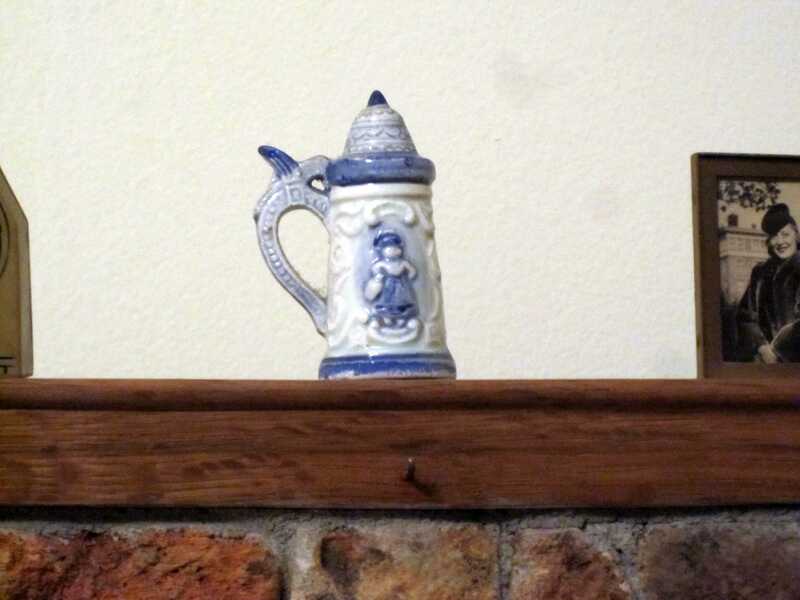 The stein that started it all. 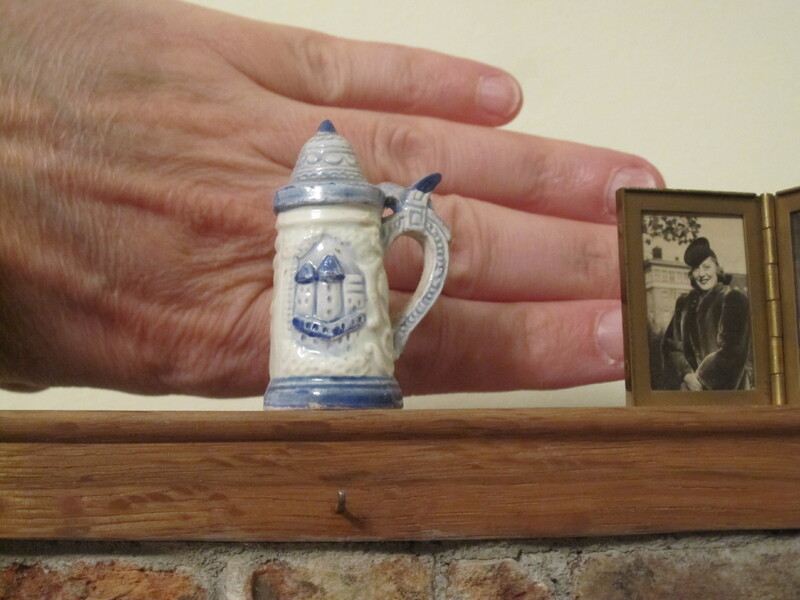 I was given a miniature stein by David Trinidad, who had bought it while traveling in Europe. It was doll-size, but quite detailed, and as I own a miniature fireplace (which my brother made for me out of rock he chopped out of his own land), I had a little mantle to set it on. Around this time, I had been reading Tender Buttons. I noted that “A Stein’s” was an anagram for “Sestina” so I took as title “A Stein’s Sestina” and used it as a challenge and an inspiration. I chose the teleutons from her text, and I borrowed some of her phrases and habits of phrasing. This poem fit into a series of tribute poems to foremother poets I was writing at this time, often in playful forms; for example, I composed a cento from Marianne Moore opening lines. It was a way of “collaborating” with beloved dead poets. Another view to give the stein perspective. Tiny! 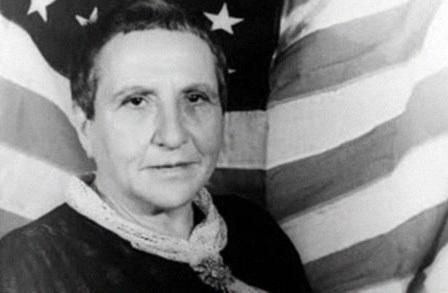 I see a reference to stein, as in a type of mug, of course as well as Gertrude Stein, which makes me wonder: in fact, a Gertrude Stein-themed stein? Not that I know of, but what a great idea. She had quite a distinctive mug! 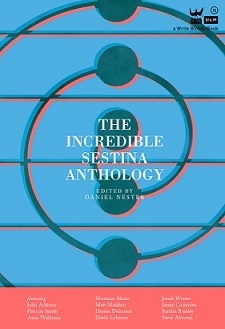 The first sestinas were always dedicated to someone, and yours is dedicated to David Trinidad, another sestina master and fellow contributor to The Incredible Sestina Anthology. It seemed the right way to thank him for his gift. This entry was posted in Behind the Sestina and tagged Beer Stein, Behind the Sestina, BOA Editions, David Trinidad, Gertrude Stein, Jeanne Marie Beaumont, Marianne Moore, National Poetry Series, Poetry, Sestina, The Incredible Sestina Anthology. Bookmark the permalink.